Classical Guitars from The Music Box Shop, Bristol. 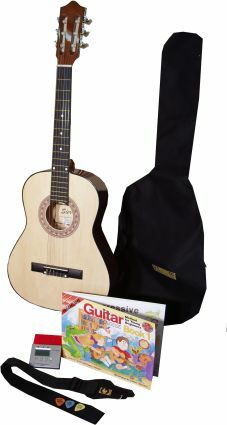 A good quality starter guitar from the Lauren range of classical guitars. 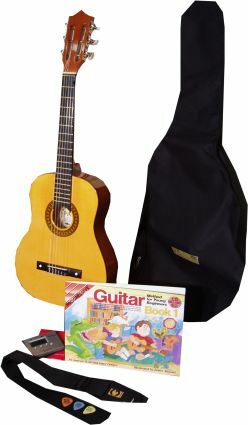 A good introductory level guitar ideal for children. 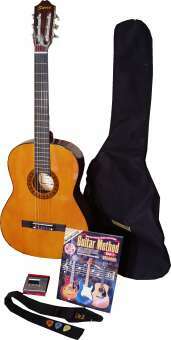 Teachers tend to recommend classical guitars to new students as the nylon strings are easier on the finger tips. Wooden body and finger board. 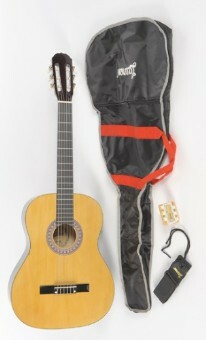 This guitar package includes the guitar, bag, strap and pitch pipes. 1/4, 1/2, 3/4 and 4/4 (full size).